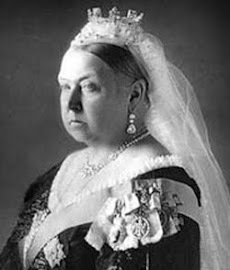 "Cops hunt Queen Vic’s letters"
Detectives are trying to trace 40 rare letters from the nineteenth century, including correspondence from Queen Victoria and William Gladstone, after they were stolen from London’s biggest archives. It was revealed this week that the letters and documents, worth “several hundred thousand pounds,” were taken from the London Metropolitan Archives (LMA) in Northampton Road, Finsbury. Police have so far recovered 11 of 51 stolen documents, which were removed between April and December last year. Officers have refused to comment on whether they suspect the thefts were an “inside job” but it is understood that even more letters could be missing. The items were taken from Lord Jersey’s collection and include letters from Queen Victoria and the Duke of Wellington. Also part of the Jersey Collection is correspondence from novelist Sir Walter Scott to Lord Byron and from Liberal prime minister William Gladstone to Sir Robert Peel, father of the modern police force. The City of London, which runs the LMA, is refusing to comment on the thefts. A spokeswoman would only say that a “security review” is under way. The LMA is the primary archive for London, with files dating from 1160, and is also the biggest local authority archive in the UK. It includes tens of thousands of maps, documents, photographs of people, and business, charity, and diocese records. Detective Sergeant Joe Lock, of Islington CID, is appealing for anyone who may have been offered “items of a similar nature without provenance” to contact him on 020 7421 0149. Update: A man in his 40s from south west London has been arrested for theft and bailed pending further enquiries.